Criminal Appeals & Post Conviction Relief | The Frey Law Firm, LLC. When you have already lost in court, you cannot afford to lose again. Whether you accepted a plea deal that did not materialize as you thought it would, or if you received ineffective assistance of counsel in your original trial, an appeal offers a second chance at fighting to secure the outcome you needed the first time. There are many avenues by which a conviction can be appealed. Pursuing post conviction relief does not just call for representation from a criminal defense attorney who is skilled at trial. Building a strong appeal is a very different type of process from defending a client at trial. Appeals are very research- and writing-oriented. Appeals are often won or lost on the strength of the briefs submitted. Attorney Ronald Frey has extensive experience in crafting highly effective appeals. He helps his clients and their families understand the process they will be going through. He believes in keeping his clients fully involved — he never files an appeal without first explaining to his clients the basis for the appeal and the approaches available. 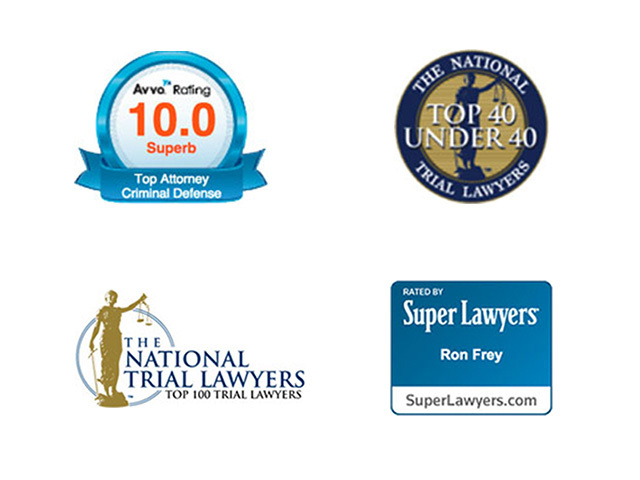 Attorney Frey has built a record of success in the years he has been helping his clients that has helped him earn a 10.0 AVVO rating and inclusion as a Rising Star by Super Lawyers in 2010, 2011, 2012, 2013 and 2014. At The Frey Law Firm, PLLC, we understand that many people may be very wary of the criminal justice system after losing at the trial level. It can be emotionally exhausting to pursue further action. We will work with you to help you effectively navigate the appeals process. Let us help you pursue the resolution your case deserves.